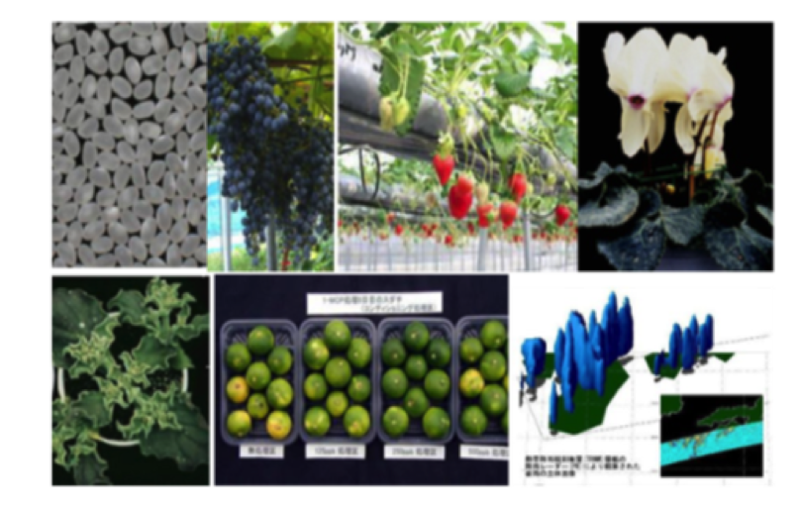 At Kagawa University Faculty of Agriculture, various types of research are in progress for promoting new production, usage and breeding of field and horticultural crops with regional characteristics fitting the environment of Kagawa prefecture. Our achievements have been widely used and contributed to society, such as the development of a strawberry bed cultivation system, floral induction technology of house mandarin oranges, the development and dissemination of new sake rice varieties, the development of grape varieties following the commercialization of University-brand wine, and the development of new varieties of wild chrysanthemum through breeding of those native to Shikoku island. We will continue these achievements and aim to promote the development of new agro-technology and resources for the next generation by unifying our research personnel with international, national and regional collaborators.